WhatsApp everyday releases its new Beta version. In the beta version, we get some features which are hidden, and some are available for all the users. Well! It is something which developers turn on, and it is hidden so that developers can enable those hidden features. WhatsApp recently introduced its new feature in which you can enable Pinned Chat feature in WhatsApp. Now, this setting is disabled, or we can say hidden from the users, but you can easily turn on this feature using the application called as WA Tweaks. You might be receiving too many messages on WhatsApp. Then whenever a new message appears on WhatsApp, that chat is moved down and sometimes you never notice that message. This is the reason why chat pinning feature is now available on WhatsApp. This feature is easy, and you can enable this feature on your WhatsApp beta version in just one click, and you don’t need to do many settings in the application. 0.1 What is Pinned Chat? 1 Enable Pinned Chat Feature In WhatsApp on Android. 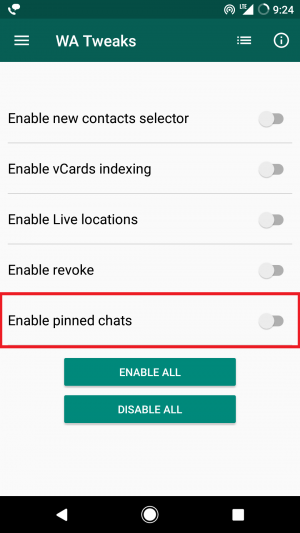 1.1 How to Enable Pinned Chat Feature In WhatsApp on Android. What we do when there is a bunch of documents? If there is an important document we move it in front, then we pin it. That is the important document and people can view it whenever they need, and they don’t need to search for it a lot just because it is in front. The same is with the WhatsApp you can pin up to three chats. Those messages will take as a priority and this is the reason why WhatsApp came up with this fantastic feature. Enable Pinned Chat Feature In WhatsApp on Android. We might receive many beta version of WhatsApp, but we don’t know the way to enable those hidden features of WhatsApp. WA Tweaks is amazing and helps users to enable those feature in just some clicks, but you need a rooted Android device. The chat pinning feature is hidden from all the beta users but that setting is for developers who work hard to enable those hidden features of WhatsApp, and this is the reason the developers of WA Tweaks worked hard to enable those hidden features on your WhatsApp. The only thing you need is a rooted Android device which will help you out to enable it on your device. 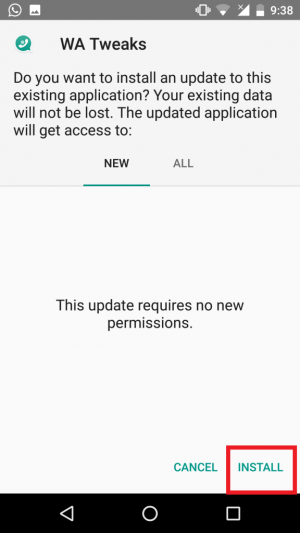 There are many other hidden features on the application which will help you to allow it just as revoke message and other application settings. How to Enable Pinned Chat Feature In WhatsApp on Android. 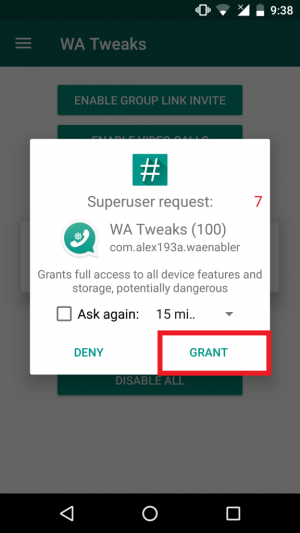 Open the application, and it will ask you for root permission and just grant it. 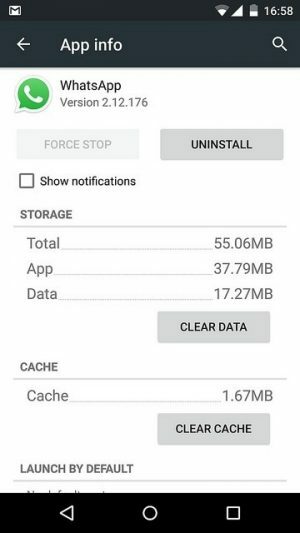 Now, go to Settings > Apps > WhatsApp and force stop your WhatsApp application. Open WA Tweaks again and there you will see Toggle button to turn on Enable Pinned Chats. That’s it! Open your WhatsApp and select any chat and there you will see a pin button. If you want to unpin it, then you can also do so with the same process and remember you can only pin 3 Chats. This way you can easily Enable Pinned Chat Feature In WhatsApp. I hope you love this article and share it with your friends and this is the best way to enable this feature in just some clicks without playing with any codes. Thank you for visiting and keep visiting for more tips and tricks like this, and I will meet you in the next one. This time we will be coming up with more hidden features of the WhatsApp so stay tuned and peace out.